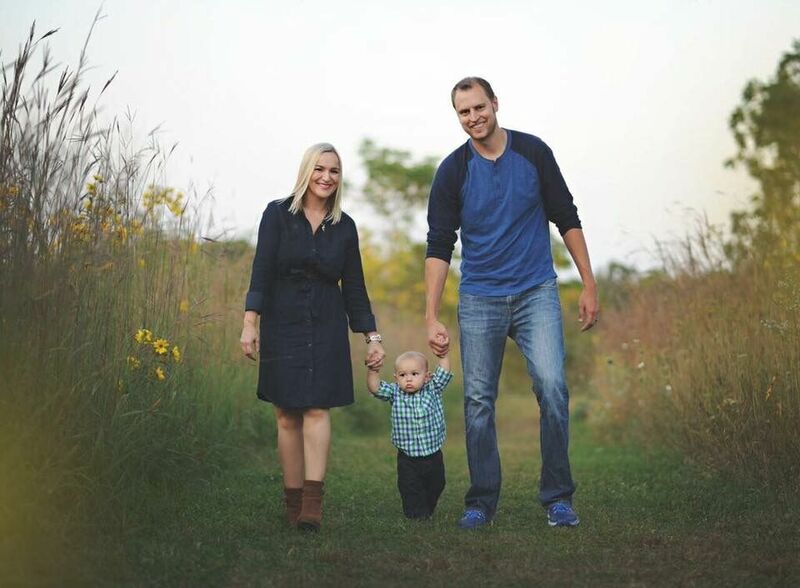 Tell us about who is in your family: My husband Greg, son Jack (18 months), and baby #2 (gender is a surprise) on the way! Current/Previous career: I was a registered nurse at Rush University Medical Center for 8+ years before attending graduate school to become a nurse practitioner. My first NP job was working in endocrinology at Rush but I currently work in Hepatology at Loyola University Medical Center. What does motherhood mean to you? Motherhood is the most exhausting, yet fulfilling, adventure I have ever been on. It's knowing what it’s like to truly love unconditionally and finding strength in yourself you never knew you had. I look forward to tomorrow (and the rest of my life) because I am a mother. What is the furthest you have been away from home? When my husband was nearing the end of a work trip, I jumped on a plane and met him in Germany. From there we traveled to the Czech Republic and Italy. It was quite an exhausting trip! How did you find FIT4MOM? I originally came across FIT4MOM in a Facebook thread. Lesley immediately reached out and invited me to try a free class. After missing my 1st Saturday morning Stroller Strides class due to oversleeping with a newborn, Karen rescheduled me for the following Saturday and I forced my husband to join us. From there I signed up for the maternity leave pass. I met some wonderful women and getting us out of the house a few mornings per week kept me completely sane! How as FIT4MOM changed your life? Where do I even begin? Body Back itself is life-changing (which is why I completed it twice and am already looking forward to joining another session post-baby). The classes are addicting, the food recipes are delicious, and I’ve gained an amazing group of friends. I gave it 100% and lost 35 pounds and way too many inches to count. I am now the healthiest and happiest I’ve ever been and am a better wife and mother because of it! Favorite exercise: 100% Tabata classes! It’s fun, challenging, and I am always sore the next day. I now know I can do ANYTHING for 20 seconds! Proudest moment: Experiencing an all natural childbirth with my son (Body Back comes in at a close #2). It was definitely the hardest thing I have ever done and I plan to do it again in August (God willing)! Tell us something about yourself that would surprise us: I know no one will believe me, but I am actually an extremely shy person. It takes a lot of self-encouragement to get me to step outside of my comfort zone. The FIT4MOM Village has definitely helped me with this problem!